Without a doubt, the most overlooked aspect of muscle growth is sleep. Most lifters nail the training, nutrition, and supplementation required to build muscle, but few give sleep the same attention. Melatonin is a naturally-occurring hormone secreted by the brain tells your body when it’s time enter "sleep mode." Unfortunately, our constant exposure to blue light from electronic devices disrupts our melatonin production, and subsequently our sleep. 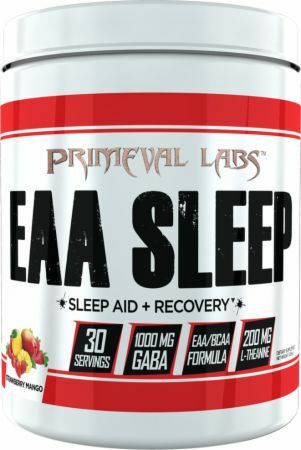 No EAA Sleep Reviews Found. 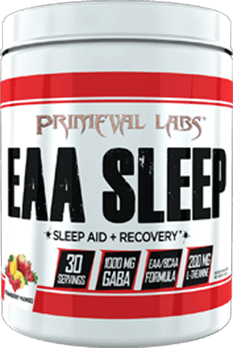 Directions For EAA Sleep: Take 1 Scoop of EAA Sleep in 12-140z of ice cold water 20-30 minutes prior to bed time. Warnings: Read entire label and obtain clearance from a licensed healthcare practitioner before use. This product is to be used by healthy adults only. Do not use if you have or could develop any medical condition or are taking any prescription drugs. Do not use if you are pregnant, nursing, or may become pregnant. Do not use more than the recommended dosage. Discontinue use and consult a physician if any adverse reactions occur. Keep lid tightly closed and in a cool dry place. As with all supplements, KEEP OUT OF REACH OF CHILDREN AND ANIMALS.